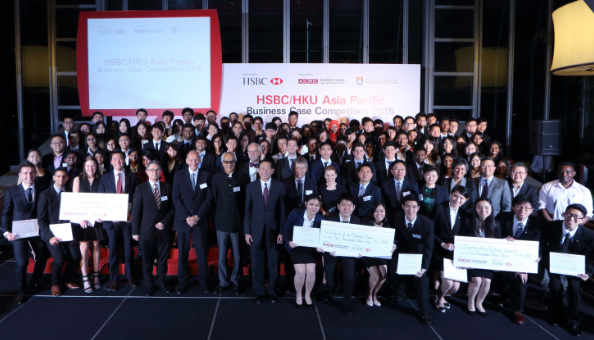 This year we expect 24 teams from universities across the Asia Pacific region to take part and more than a few countries/regions will host their own national competitions before sending their country winners to Hong Kong to compete in the HSBC/HKU Asia Pacific Business Case Competition 2015. This annual competition is organized by the Asia Case Research Centre at The University of Hong Kong and this year marks the eighth year that HSBC has generously supported the event. The 2015 competition will consist of 5 rounds: 2 on Day 1 of the competition (June 3), 1 on the morning of Day 2 (June 4) and 2 on Day 3 of the competition (June 5). The afternoon of Day 2 (June 4) has been set aside for a team building and cross cultural training activity (no formal competitions will take place). The culmination of the 3-day event will be the final round of competition, to be held at HSBC Main Building in Central, Hong Kong. After 5 rounds of competition on June 3-5 2015, the championship went to The University of Auckland, followed by first runner-up The Hong Kong Polytechnic University and second runner-up The University of Philippines Diliman. They were awarded with USD10, 000, USD5, 000 and USD2, 000 respectively. The ACRC Prize for the Most Collegial Team went to Thammasat University, which was awarded with USD1,000.